I’m sure that I’m not alone most mornings, when I wake up with puffy eyes. I hardly even need to look at a carb or alcohol, and in the morning, I feel like I need to spend hours with cucumbers or cold teabags to kill the swelling, but thankfully, This Works have come to my rescue with their brand new Light Time Open Eyes – a nifty little tube which promises to refresh, brighten and de-puff. So basically, work morning magic! I have to profess something of a weakness for This Works. Their sleep sprays are heavenly, and I have fallen in love with their array of luxe body oils and creams, and with a name like This Works, you know you can rely on them! 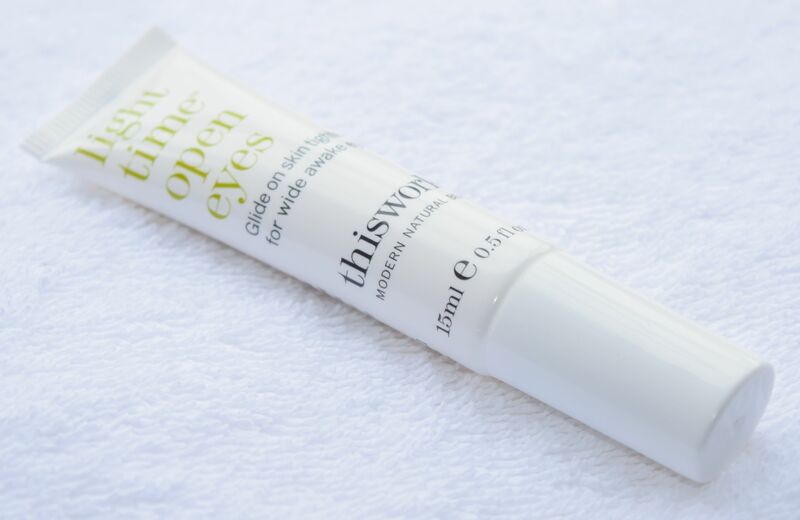 Thankfully, Light Time Open Eyes is definitely a morning must-have! In the mornings, I tend to use a gentle foaming cleanser when I’m in the shower, then use a soothing moisturiser once I’m out. 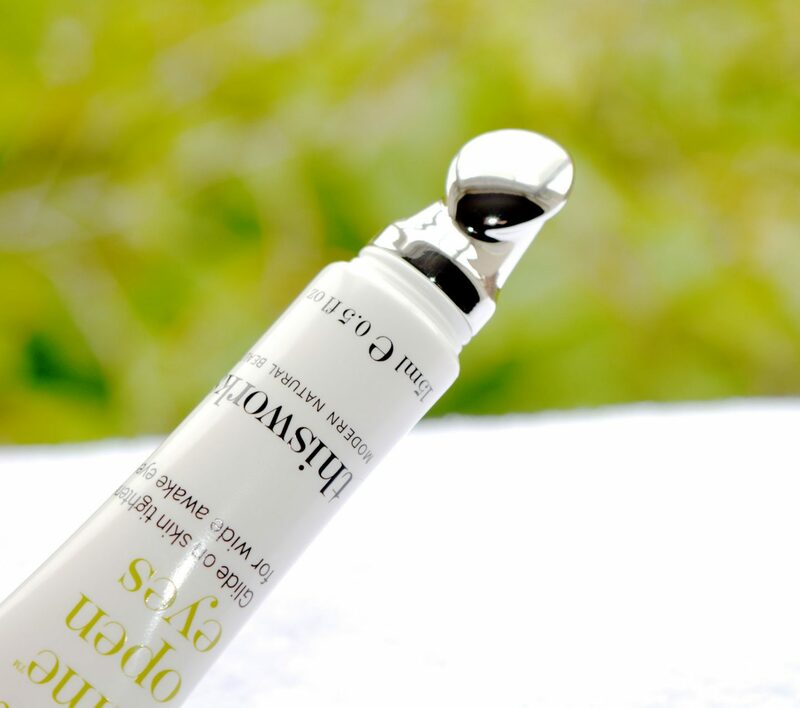 After applying my usual products I simply squeeze a little of the formula out, and then use the metal nib of the tube to gently massage the Light Time Open Eyes around the orbital area. Taking a couple of seconds in the morning to treat the area feels wonderfully indulgent, and I can really see the difference on the mornings I use it. For an extra-relaxing session, I’ve been keeping my tube of Light Time Open Eyes in the fridge so that both the formula and the metal tip are icy cold. 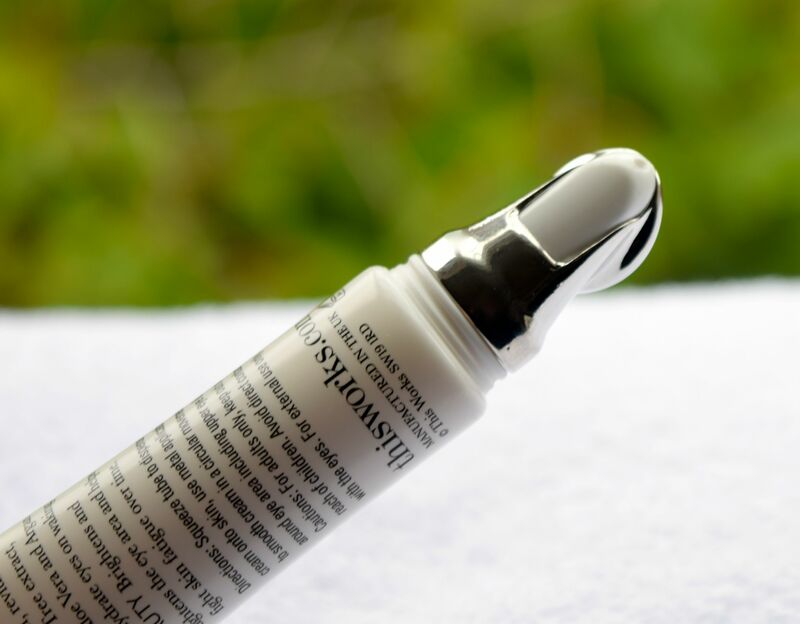 Using the cold version means that the formula is even more effective, and it feels so refreshing to use – it’s pretty much an espresso shot in a tube! If you suffer from dry or lined skin around your eyes, Light Time Open Eyes really is a must have! 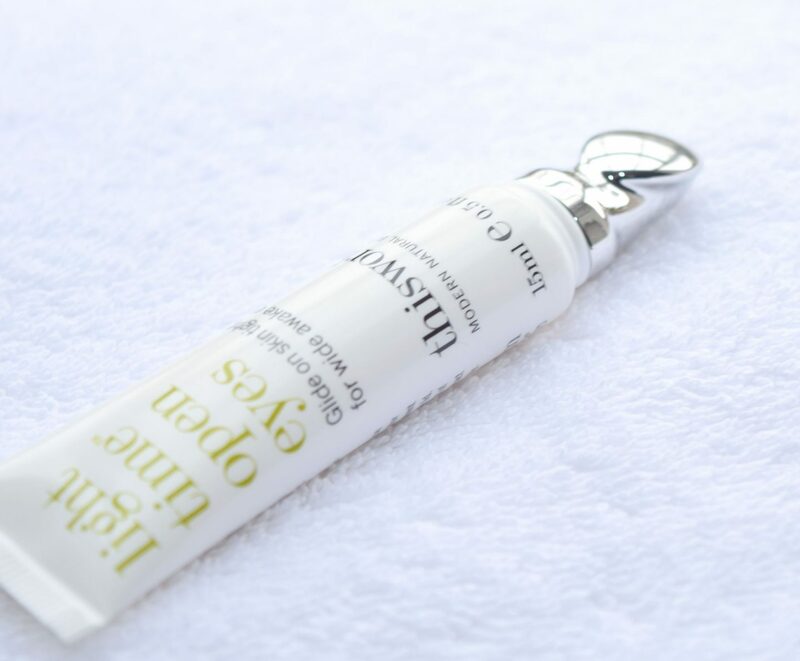 The formula feels wonderfully rich and moisturising to use, and it really plumps and primes skin, so any concealer or shadows you apply go on super smoothly! 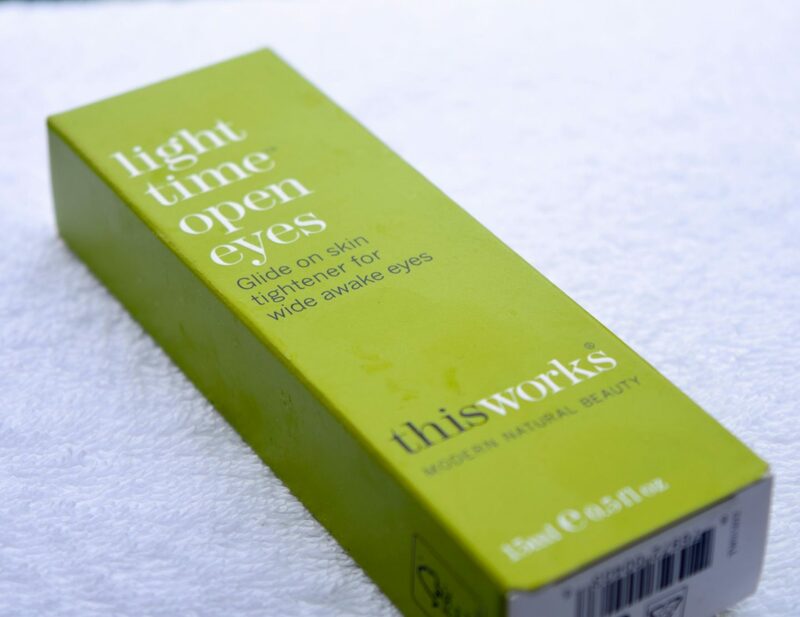 This Works Light Time Open Eyes is priced at £25.00 and is available here.